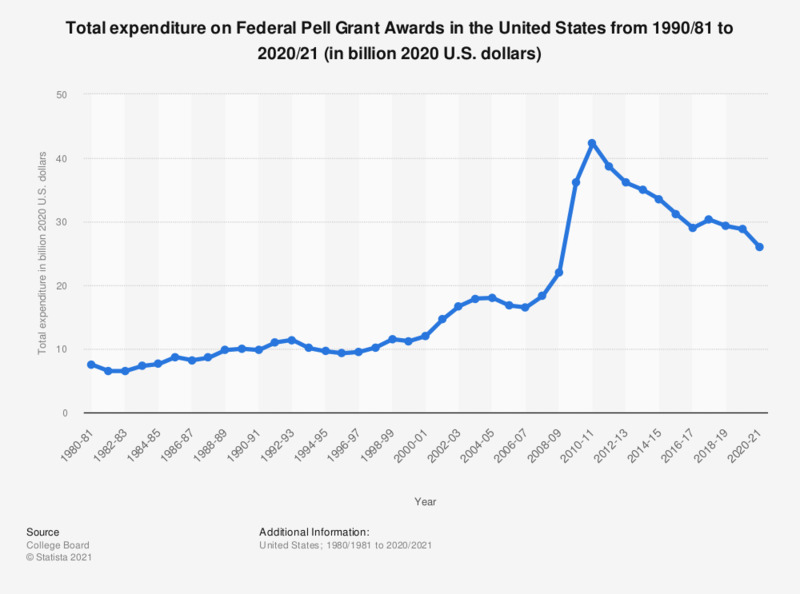 This statistic shows the average expenditure in billion U.S. dollars on Federal Pell Grant Awards in the United States from 1977 to 2018. In the academic year 1977/78, expenditure on Federal Pell grants totaled to 6.1 billion 2017 U.S. dollars. By the academic year 2017/18, expenditure was up to 28.2 billion 2017 U.S. dollars.